[From www.forbes.com] How excited would you be about a medication that lowered your risk of cardiovascular death, heart attack or stroke by 1.5%? What if, instead, the drug reduced those same terrible outcomes by 20%? Well, those statistics come from the same clinical trial, evaluating the same drug. In fact, they present the exact same results, but they simply do it in different ways. 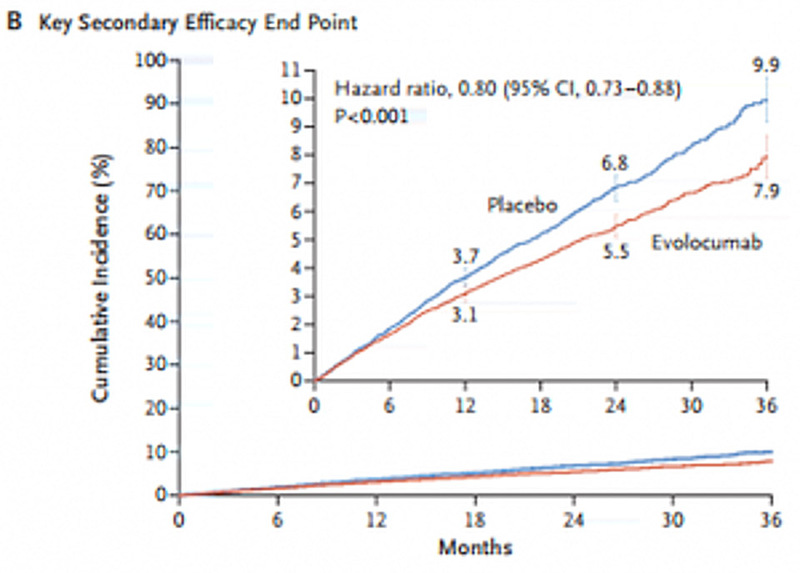 The 1.5% number refers to the absolute reduction in the risk of those outcomes – the drug reduced the two-year risk of cardiovascular death, heart attack, and stroke from 7.4% to 5.9%. To make matters worse, the authors published a figure illustrating the results of the trial. Part of the figure appropriately plots their research findings on a graph in which the y-axis ranges from 0% risk to 100% risk. But within that graph, the authors present a magnified version of their results, that visually exaggerate the benefits of the drug (see figure). This article talks about exaggerating the benefits of a drug. What about underestimating the risk of drugs? Some industry proponents contend that risk should be presented in absolute terms rather than relative terms (see Marketing Acceptable Risk). Study data presented at an FDA public hearing suggest that consumers presented with drug risk information as an absolute risk were willing to accept a higher level of risk to achieve therapeutic benefit than those who were presented information as relative risk. That is, if I told you that your chances of getting a heart attack was 5 times higher if you took Vioxx than if you took Aleve, you would be less inclined to accept that risk than if I told you that your absolute risk was 0.25% under Vioxx vs. 0.05% under Aleve. Neither of the latter two numbers are big enough to worry about, but a 5-times increase just sounds bad. ExL Events is excited to announce the industry’s only event dedicated to strategies for building disease awareness campaigns that educate patients and resonate with healthcare professionals. The Disease Awareness Campaigns Forum is taking place April 4-5, 2018 in Philadelphia. 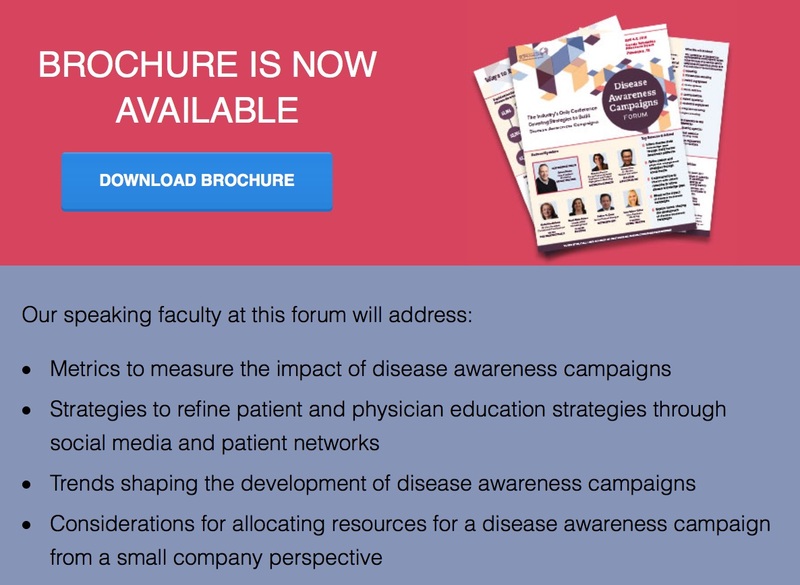 This intimate forum will bring together leading marketing experts and senior-level executives to discuss patient and HCP engagement strategies to build effective disease awareness campaigns to disseminate educational information. [From www.statnews.com] By our tally, the “Mostly Complete Works of Scott Gottlieb” clocks in at just over 149,000 words. 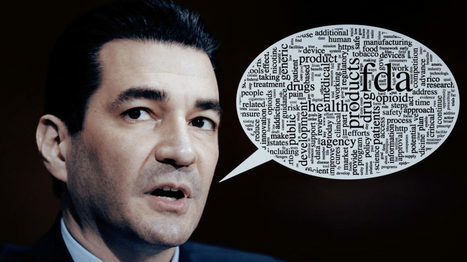 But when we ran our methodology by FDA spokeswoman Sarah Peddicord, she suggested we expand the analysis to include Gottlieb’s entries in the FDA blog, his quotes in the agency’s “In Brief” section, and all the public statements on the Commissioner’s Page. So we did. Those additions ballooned Gottlieb’s tally by 100,000 words.